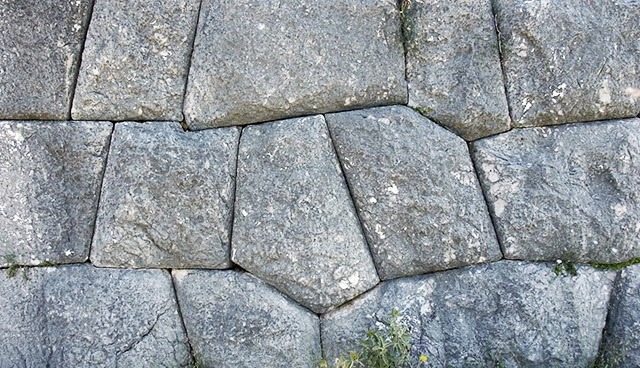 Cyclopean masonry is a type of stonework found in Mycenaean architecture, built with massive limestone boulders, roughly fitted together with minimal clearance between adjacent stones and no use of mortar. The term may have come from the belief of classical Greeks that only the mythical Cyclopes had the strength to move the enormous boulders that made up the walls of Mycenae and Tiryns. Pliny's Natural History reported the tradition attributed to Aristotle, that the Cyclopes were the inventors of masonry towers, giving rise to the designation Cyclopean. On many lonely and forgotten hilltops in the Peloponnese, massive walls of ancient structures can be found, for instance the paleo kastro (old castle) of Agios Adrianos, an example of well-fitting, interlocking walls of dressed stones. It may well be that many of these ancient Cyclopean walls belong to another forgotten period of the history of ancient Greece, instead of all of them belonging to the Mycenaeans. In the 19th and early 20th centuries some scholars ascribed many of these walls and buildings to the ancient Pelasgians, but since their history was so hard to unravel most modern works make almost no reference to them. At most, modern textbooks consider them to be the earliest inhabitants of Greece before the invasion of the Mycenaeans. It could very well be that the term Mycenaeans was used to replace these hard to trace Pelasgians - as noted by Professor William Ridgeway in The Early Age of Greece. An interesting linguistic connection was put forth by English Orientalist Edward Pococke (1604-1691), from his India in Greece; or Truth in Mythology, in which he supposed that King Pelasgus was actually the son of Palaichthon, the "ancient fatherland" of the Greeks. 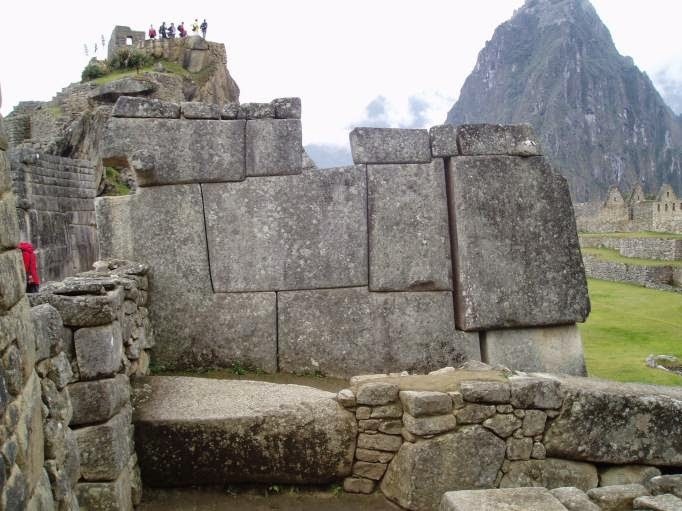 The world's Cyclopean monuments can be seen at sites that span the globe, with an uncanny similarity in construction, and an awe inspiring ability to move and place tons of stone; presumably without the aid of machinery. He spoke of it as a sophisticated antediluvian empire that flourished for eons on a now submerged continent in the middle of the Atlantic Ocean, from where the Atlantic ocean gets its name. The ancient Egyptians, via Plato, maintained that the Atlanteans possessed advanced ancient spiritual technology and wisdom, which the Greeks called Gnosis. Gnosis is a feminine Greek noun, which means "knowledge". Plato goes on to explain that the end of Atlantis came some several thousand years ago, when a series of natural global disasters and rapidly rising sea levels "sank" their continent into the sea. A handful of survivors escaped the devastation, fleeing to, and settling in, different parts of the surface, and subterranean, world.